Ebooks have this nifty technology that enables a reader to highlight a section of text. If enough people highlight a passage, it will be underlined in every issue of that ebook sold. In some books I’ve read, hundreds of people have highlighted a section. I see it going like this: Reader sees underlined sentence. Reader hovers over said underlined sentence and sees that 657 other uber intelligent readers underlined said section. Reader thinks, “If 657 other uber intelligent readers underlined said section, it must be worth underlining,” so Reader does. Besides it being creepy that whatever we highlight (and probably everything we write) in our ebooks is recorded, we see that the general populace are like sheep. We’ve heard it before, and we ignore it, but it has validity. You can flip through one-hundred plus pages in an ebook, come across a “special sentence that emulates all of mankind” and 843 other fellow readers agree that ONE sentence is highlighter worthy, not the past 6,000. They all happen to agree. Right. 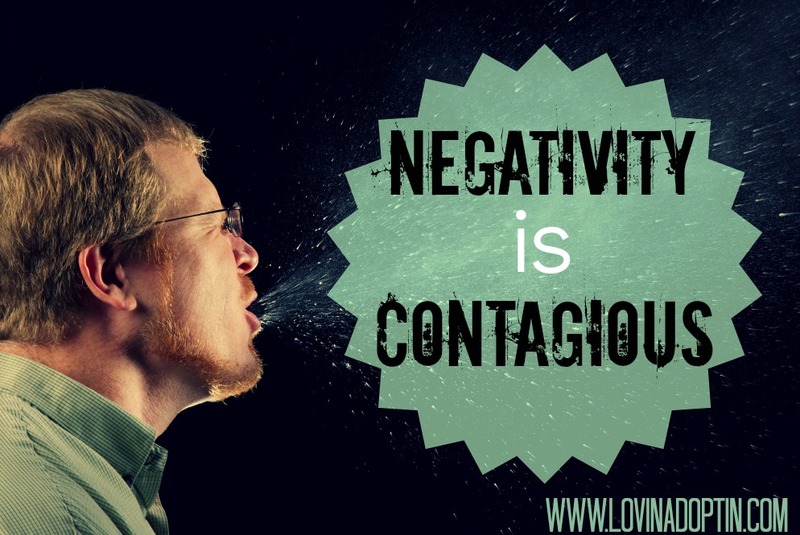 You may be wondering what the title of this post, Negativity is Contagious, has to do with following the crowd. Well, when we surround ourselves with negativity, it grows, it festers, and we don’t even realize until it has crept into every crevice of our lives. An example of this came from a friend of mine who grew up in a home that was riddled with negativity, her mom complained about everyone and everything. Then as an adult, my friends mother made a comment about her being negative. My friend said to her mom, “How do you think I became like this?” Her mother replied, “I don’t know.” Negativity had become part of her mom’s life, and she didn’t even recognize there was a problem. Negativity sneaks in through several avenues, and much of it has to do with us following everyone else. 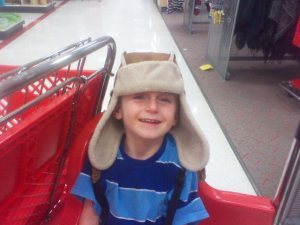 What happens when we spend time on adoption focused forums where parents continually complain about their children? What about Autism forums where parents separate themselves because their child’s behaviors are worse than others? What happens when we fraternize with friends who constantly share the negative aspects of their kids, never looking at the positive? 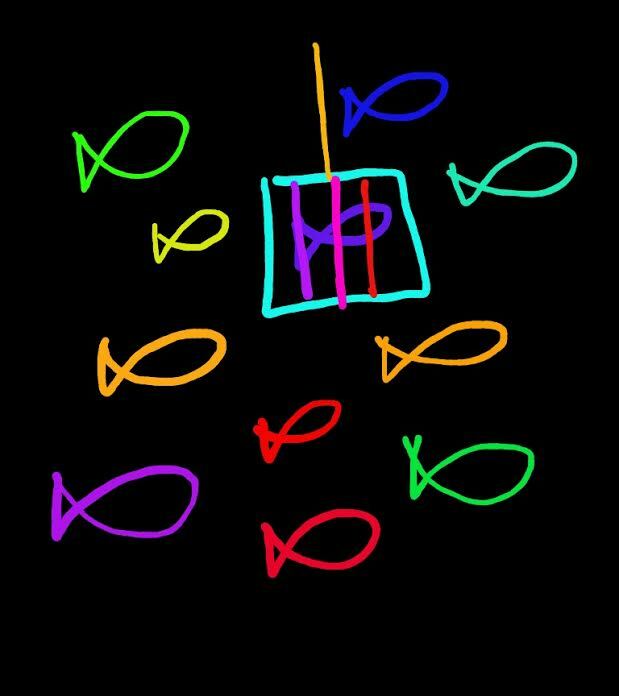 If we aren’t careful, we fall into a trap that’s floating down the river with the current. We don’t want to voice our opinion because it’s so different from everyone else’s. We want to be involved with these people because they’re the only ones who really get what our life is like. But, we “catch” the Negative Bug and go along with the crowd. It seeps into our lives and makes us view every aspect with shaded lenses, the positive attributes of our spouse, children, and others who we should support, are shut out and only the unfavorable is seen. 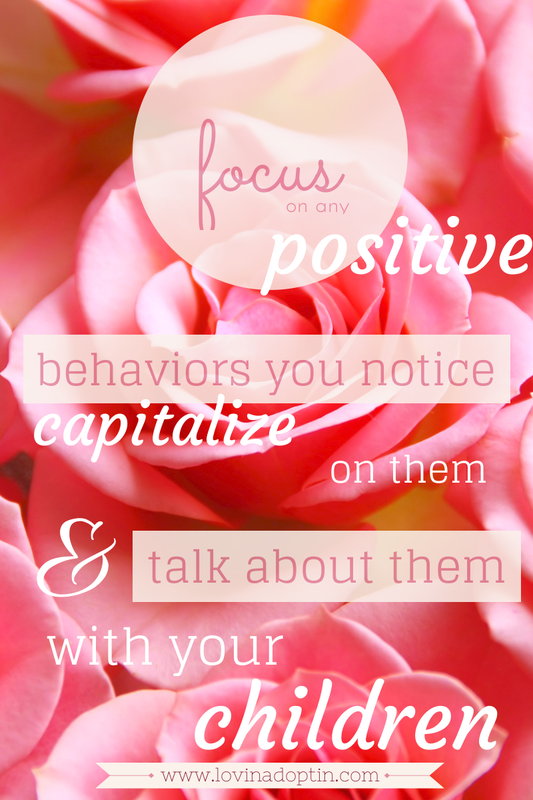 This can be detrimental to everyone in the family when all we see is negative. Our spouse can do no good, our kids are persistent pests, our life isn’t satisfying anymore. Negativity is a tenacious tree that outgrows its all too small pot. It will swallow you up and spit you out. Please understand, I know there needs to be a place for us to vent about difficult days to others who have been there. We need support to make it through when we are dealing with hurting children, disabilities, and disorders. We need to know we are not alone in our journey. However, we also need to temper the complaints with positive comments. We need to weigh what others say and not jump in and follow what everyone else is saying or doing. Throughout the following weeks I will be writing about negativity and how it affects our kids, our spouse, and how it causes dissension in our communities. And so you know, these words aren’t coming from Mrs. Polly Positive, I struggle with negativity just as much as many of you, I have be aware of where it’s creeping into my life to kill and destroy any joy or progress. How have you seen negativity creep into your life or someone else’s? Have you seen a crowd mentality turn bad? I’m not a fan of New Years resolutions. Probably because I’ve never made a serious one, and all I’ve really witnessed of those who make them is that they don’t follow through. I’ve been in the gym in January, and then again in May, and many of the fitness fanatics who began the year with a bang petered out. Maybe I don’t make resolutions because I make life decisions throughout the year. Oh, don’t think that I am some idol to worship. Nope, I still don’t work out weekly, I still eat my fair share of chocolate (okay, I’m addicted), and I am not super mom, nor am I an ideal wife. However, if I see an area that needs worked on (and if I can’t see it, God is sure to bring it to the forefront of my mind) I try to fix it. Or, I pray about it, and try. Just because I don’t make resolutions, it doesn’t mean I don’t have expectations or hopes for the upcoming year. And with those, I also have wishes for you. I hope your child makes progress this year. I hope you find answers to questions that plague your every thought. I wish you peace in moments when it seems impossible. I hope support comes alongside you and your family. 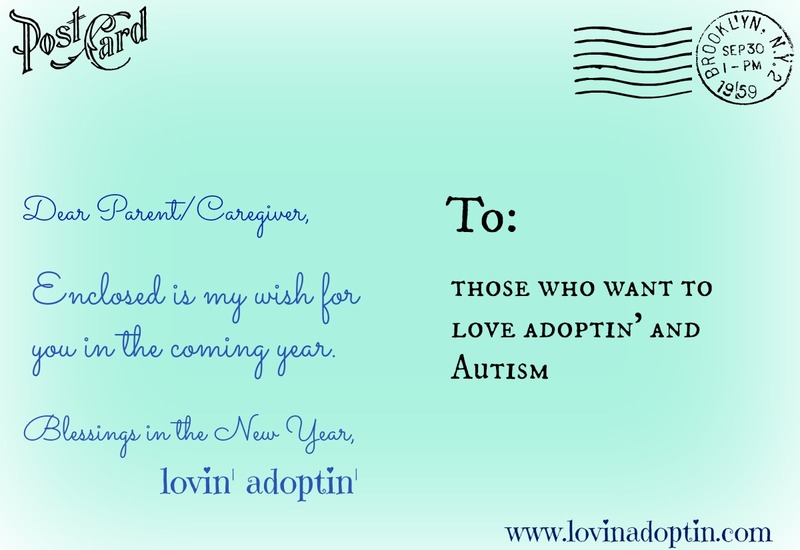 I hope you see the amazing child behind the Autism. I wish you earplugs during your child’s sensory seeking moments. I wish for clear direction for you and your family, that all of you would be in agreement on. I wish for the right child to be placed in your home. I hope your family and friends come alongside you and support you. I wish you jubilation when you and your child meet. I wish for you joy even in the difficult moments. I wish you peace in the upheaval where you wouldn’t expect it. I hope you see progress. I hope you find time to be alone with your thoughts. I wish that your family would stick together and support one another. I hope that support comes alongside you and your family. I hope you find solutions to battles that are raging in your home. Thank you to all who have visited this blog in 2013! May your New Year bring hope and healing! For the sake of being a rock in the shoe, let’s address the latter point. My in-laws are the most consistent people you will ever meet; dinner at five, dinner at Dollar Scoop Chinese on Friday nights, small group every Thursday night, spaghetti for lunch on Wednesdays, and grocery shopping on Tuesday nights. Point is, they are consistent, and they aren’t dead. Both quotes are made by writers. It surprises me that writers would reference consistency in this way, as most would say they have the same routine every day to accomplish their writing goals. Most inconsistent writers aren’t writers, they are wannabes. I also wonder how consistency is contrary to nature. Don’t Monarch Butterflies migrate to Mexico every winter? Don’t deer follow the exact path each time they go to the water source, and isn’t that why it’s called a “game trail?” Don’t Salmon swim hundreds of miles back to their hatching grounds to spawn? If nature is so dependent on consistency for it’s survival, wouldn’t humans need some of the same? What about children who come from neglectful, abusive, and traumatizing situations where they didn’t know if they were going to eat again, who was going to take care of them, if they would be going to school not, or if they would celebrate their birthday. Our hurting kids worry excessively, and the above mentioned scenarios are only a clip of their life movie. We can take action to relieve much of that anxiety. Consistency and routine are two important aspects to helping our children feel safe and know what to expect. By implementing consistency and routine in our children’s daily lives, we build trust, and trust is another key element in helping our hurting kids heal and attach. If a child cannot trust their primary caregivers, they will feel their life is spinning out of control. If you spin around until your world becomes tipsy, what are you likely to do next? Probably look for something to stabilize yourself. You are going to try to gain back that control you lost. It’s the same with our kids. They want consistency and routine, when they know what to expect, it will cut down on the worry, the questions, and the behaviors that stem from not knowing what will happen next. When our children don’t know what to expect, they will feel the same way they did in their neglectful and abusive situation. They weren’t able to trust their previous caregiver, nor will they be able to trust you if they don’t know what’s happening day to day. They will feel lost and out of control. You can help them stabilize by providing a consistent environment that incorporates plenty of routine. If you say something, do it. This will require giving thought before you say anything, whether it be a plan you’re making, or a discipline you’re going to put into place. Keep daily and weekly routines as consistent as possible so your child knows what to expect each day. IF events in your week are going to be different, let your children know well ahead of time. Also, calendars are great ideas, something simple like a printed list of days and what happens on each one. Stick to bedtime and waking routines. This will also cut down on behaviors because they know what to do and what is expected. 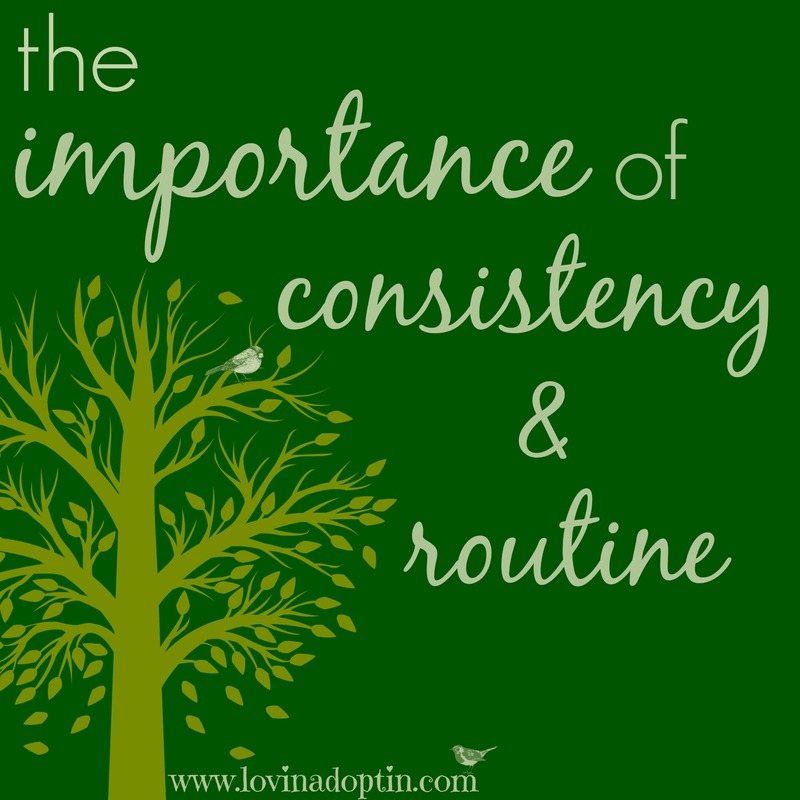 Do you have consistency and routines in your every day life? Does it seem to help your kids? If you are a fly by the seat of your pants type, is there an area that you can begin to incorporate more consistency and routine? 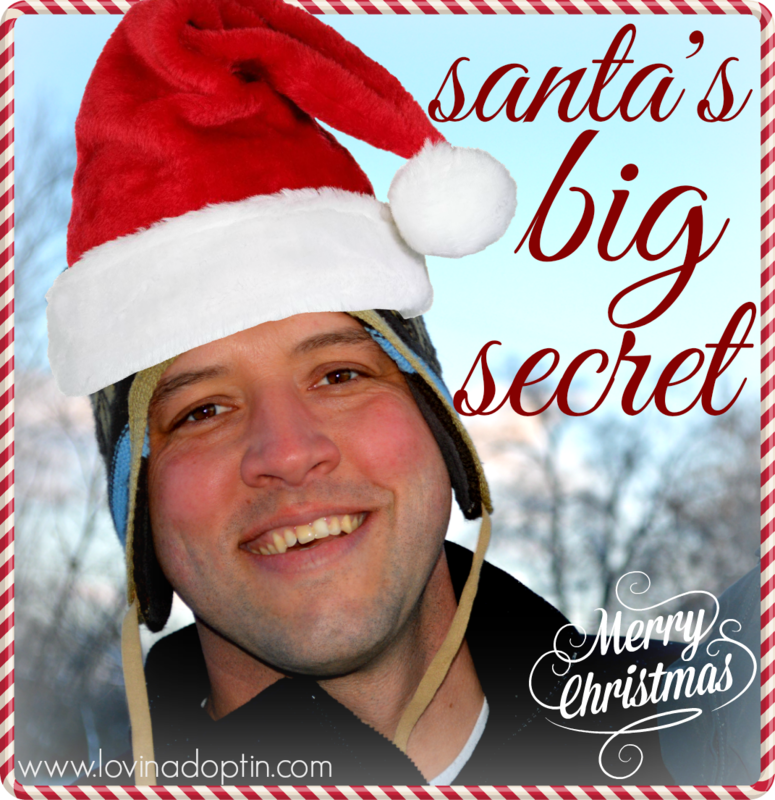 Every year she’s had questions about this Santa guy, the Eater Bunny, and the Tooth Fairy. A few years ago we threw out magical flying food for Santa’s reindeer (oats mixed with glitter, an idea my husband’s sister shared with us when they visited with their daughters). Her girls loved it and didn’t have questions. But you could see the concern gnawing at Payton when we tried to feed some poor starving trailblazing deer. “How will they find it?” The oats and glitter had fairly disappeared in the snow or the grass, whichever it happened to be each year. I had a feeling the Santa front wasn’t going to last long. Because all the afore-mentioned and because I am horrible at keeping secrets. Yeah, it’s really bad, mostly when it comes to gifts and not blurting aloud what we bought the kids, when it was supposed to be from the good ole jolly guy. This past week I was in Payton’s room, she had called to me after she went to bed. I could hear a little fear etched in her voice, and I wondered what it could be. “How will Santa come? I’m always awake at night.” I asked if she was scared of Santa, and she nodded her head. I asked again just to make sure. Yep. Decision time had come. Do I let my daughter continue to believe in Santa and be frightened of the big man in the red suit totting an extra-large beard or do I tell her the truth and crush any sort of child-like fantasy? Some parents scoff at me because they’ve always been honest with their kids about these fairy tale characters; the Tooth Fairy, Easter Bunny, and Santa. My husband was one of those kids that didn’t have the chance to dream about the great Claus because his parents were the honest ones. I, however, came from a family of liars. Well, not really unless I want to be added to that category because I let Payton believe the same. I remembered what it was like trying desperately hard to fall asleep on Christmas Eve, waiting to hear any creak in the floor, or a thump as Santa left something for my brother and I. I remember the flight to my parents room as soon as my brother woke me (yes, I always slept later than he), begging them to go to the living room and SEE. I remember the thrill of eyeing the presents under the tree, waiting for us. They are still very special memories, and I wanted my daughter to have the same. Problem being that my daughter didn’t come from the same background I did. Although she’s tremendously better now, worry has always been a part of who she is. She’s also very intelligent. She is able to think through things and figure out that Santa + no chimney = no Santa. Or, if Santa did come down the chimney, he would surely break a bone, if not several. Many of our kiddos who come from difficult places are highly intelligent, even if you don’t see it, it’s likely there beneath the surface, or you are being fooled. When Payton told me she was scared of Santa, I told her to wait a minute and I went to chat with Justin. This is a two person decision if you are married, so I told him what was going on (he knew she had been concerned before about a strange man entering our house), and he agreed that I could tell her Santa isn’t real. That was hard for me. Really hard. I was sad to tell her the truth, but then it felt kind of strange knowing that I had lied to her about Santa and the others. I then had to make sure that she knew Jesus and God ARE real, yeah, think I’ll need to work on that one for a while. She actually smiled and thought it was kind of funny that we’d been the ones to fill the Eater baskets, fill the Easter eggs and hide them, and put out presents from Santa. Our kiddos have a lot of worries, many come from scary places. We need to think about adding to those fears, whether they have a conscious memory of their past or not. You can tell if your child seems overly fearful or worries more than he should. Maybe it would’ve been better for us to have begun this thing differently, no Santa, no Easter Bunny, no Tooth Fairy. If it had been up to Justin, that would have been the way it was done, but I got my way, and I’m seeing that it probably wasn’t the best. Does your child have an unusual fear of Santa? How have you dealt with it? I found this beautiful post on Moved by Mercy. I have previously written about our daughter, Payton, and how, despite her setbacks, she has always been amazing with her brother. As I read this post I couldn’t stop thinking about her. Dave’s words describe so much of who she is. She has been dealt a blow in life, but her ability to intuitively assist her brother in many aspects and the compassion she shows is just what the author of this post says, she’s hardly typical. The following is reposted with permission from Moved by Mercy. I just learned that today, April 10th, is National Sibling day, a day set apart to celebrate brothers and sisters. 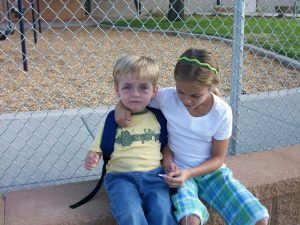 The siblings of special needs kids are often referred to as “typical” siblings. Their lives are anything but typical and they, themselves, are anything but typical. The truth is that typical siblings play a role in families with disabled children that sometimes looks more like a parent than a sibling. They change pull-up’s, help with dressing and feeding, protect against all manner of dangers, serve as Mom’s and Dad’s lookout, and more. Sure, they do those things because its helpful to Mom and Dad, but they also do it out of love for their sibling with special needs. Typical siblings live in a world that seemingly has a gravitational pull towards their sibling with special needs. They sometimes feel forgotten and often have to settle for Mom and Dad “left-over’s”. Their activities are often constrained by the availability and cost of special needs child care. It’s not an easy life in a lot of ways. 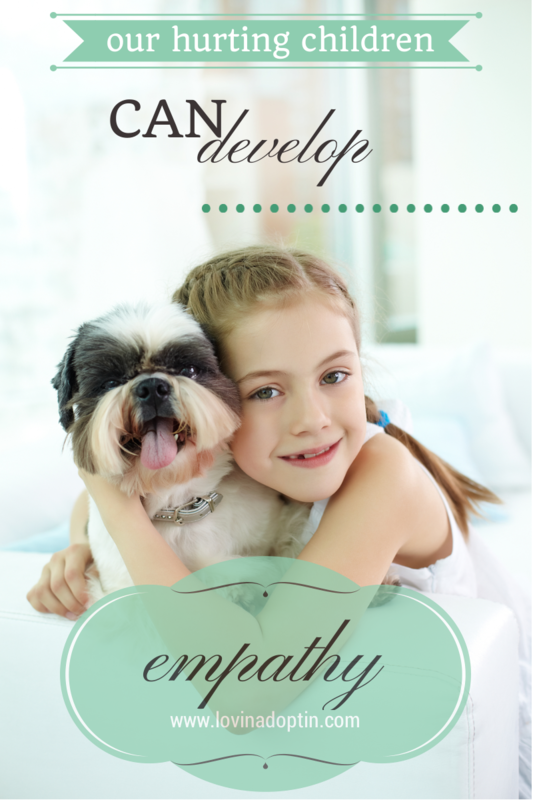 My experience from meeting a number of typical siblings of special needs kids is that, despite all of those challenges – or perhaps because of them – these children are unusually compassionate, patient, accepting and forgiving of others, and kind-hearted. Maybe the struggles and heartaches they’ve experienced from an early age forestalls the tendency toward self-focus, indifference and hardness of heart. 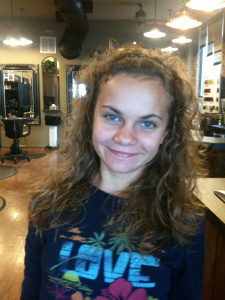 This is my favorite “typical” sibling, my daughter Shelby, now age 12. What a sweet heart! From a very young age, Shelby has been one of Jack’s biggest protectors, advocates and comforters. Shelby loves the Lord and is a real prayer warrior. I’m always blown away when I get to listen in on her conversations with Jesus. The other evening, Shelby handed me a short essay she wrote about what its like to be the sibling of a child with disabilities. Some of it was hard to read, to be honest. The essay ended in “typically” Shelby fashion, though. She wrote that she has decided to start a sibling support group as part of the special needs ministry that my wife and I are starting at our church. She wrote that she would get other “typical” siblings together to pray for one another, talk about their struggles, enjoy one another’s fellowship and go do fun activities. Hardly typical, but I wasn’t surprised. That’s just Shelby. 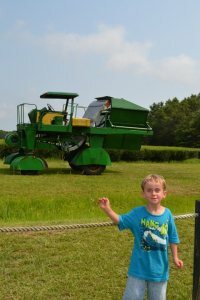 Do you have a neurotypical child that has amazed you? Do you feel they are special because of what they’ve gone through having a special needs sibling? *My thanks to Dave and his willingness to share this post with lovin’ adoption’. You can find out more about Dave’s ministry and see more of his writing at Moved by Mercy. I thought the post I wrote last week would be the last one until after Thanksgiving, then I began thinking about just that; Thanksgiving, and what it means. If you’re on Facebook, you’ve seen people posting daily about what they’re thankful for. Awesome idea. But it’s hard to be thankful when your children are hurting, acting out, and life is not what you expected. Some of you have kids who wrote the book on strong will. Some of you sacrifice your life daily for your child’s needs. Some of you have angry children who are attacking your world constantly because they’re scared. Life is hard, and the last thing you feel is thankful. Yet, ask yourself where your children came from. Are they in a better place than they would have been if you hadn’t adopted or fostered? Adoptive and foster parents tend to get stuck in this idea that says, “I didn’t save my child or rescue my child,” in fact they can get downright angry when someone says this about them. But I love to ask if your child is better off with you. Would your son be sleeping in a comfy bed, enjoying family meals with people who love him if he were in an African orphanage? Would your daughter be well fed and warm at night if she was on the streets in Russia? Would your son be safer with a mom who’s doing drugs, and has different men over every week, and doesn’t take care of his needs? I doubt it, and I doubt you are saying yes. do school work without arguing? follow the morning routine well? Your child may not do any of these well, or at all, but there is something positive about your child, even if you have to dig to find it. They do have worth, and if you can build on those positives, it will help your relationship grow, and that’s the main goal. 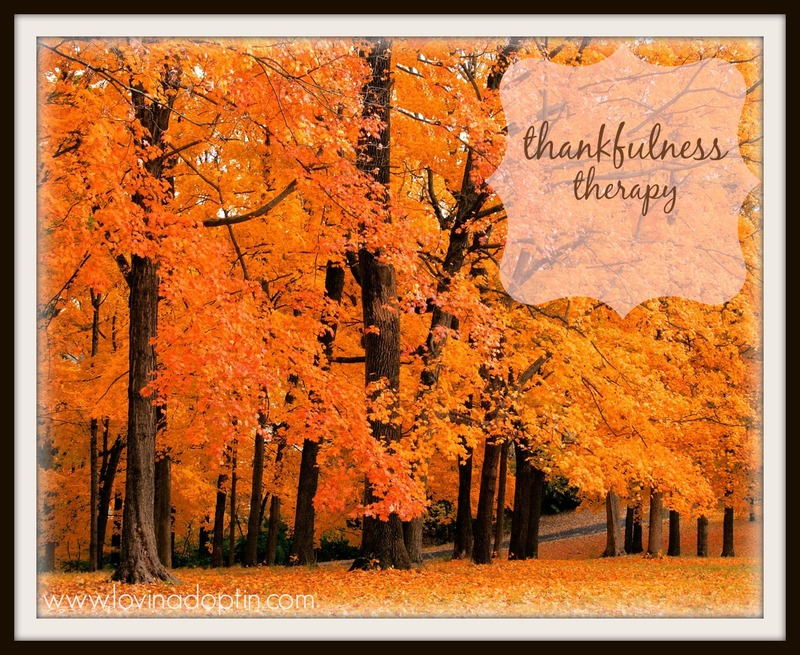 Why is being thankful important? I clearly remember the Thanksgiving after we adopted Payton from foster care. It was only days after her adoption was finalized and we were standing in a circle with family members telling what we were thankful for. Someone (left to be unnamed as to avoid great controversy) said they had nothing to be thankful for. I was quite angry because my precious daughter was now in our arms forever and it was the most thankful I had ever been (we knew she was now safe and a year of fearful anticipation was over). I also saw that the thankless person was miserable. When we can’t find anything in our lives to be thankful for, we dwell on all the negative, and that list can be great. If we focus on what we are grateful for, we have a fuller more joyous life. Why do I care if you are thankful? I care that you find something to be grateful for because I want your family and your kids to thrive, not just survive. I don’t want this to a Thanksgiving and Christmas (or whatever holiday you celebrate) that you try to get through as fast as possible, I want you to enjoy it. Our hurting kids are hurting, and there are days when there aren’t positives to be appreciative of. So what else in your life can you be thankful for? I am truly sorry if there isn’t much, but my hope is that you can find something. Maybe it’s something simple today, like rain or a warm house, maybe tomorrow will bring something else. I am thankful for all of you who have chosen to care for the orphan, foster child, abandoned and neglected. Without you, they wouldn’t have much to be thankful for. Thank you for all you do! Have a wonderful Thanksgiving!